Those were the words uttered by Austrian skydiver Felix Baumgartner just before leaping from a balloon at 128,100 feet back to earth in a record breaking jump, brought to you by Red Bull. 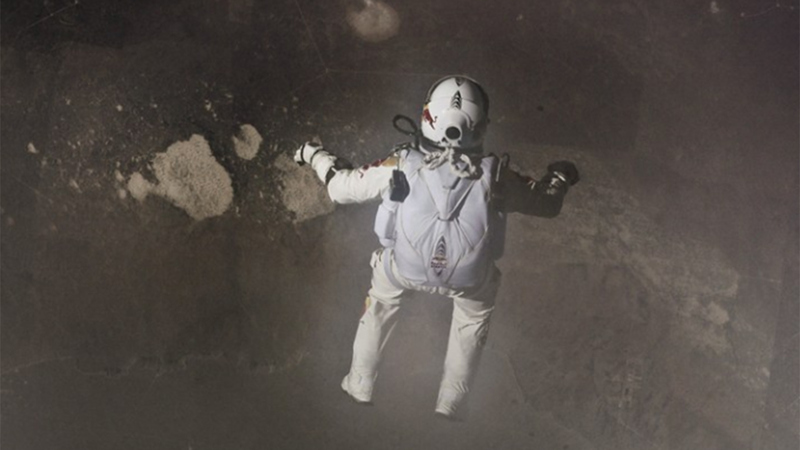 More than 8 million people tuned in to watch the event called Red Bull Stratos, a Mission to the Edge of Space and Supersonic freefall, which saw Baumgartner, travel 24 miles into the stratosphere before freefalling and then parachuting back to Earth. 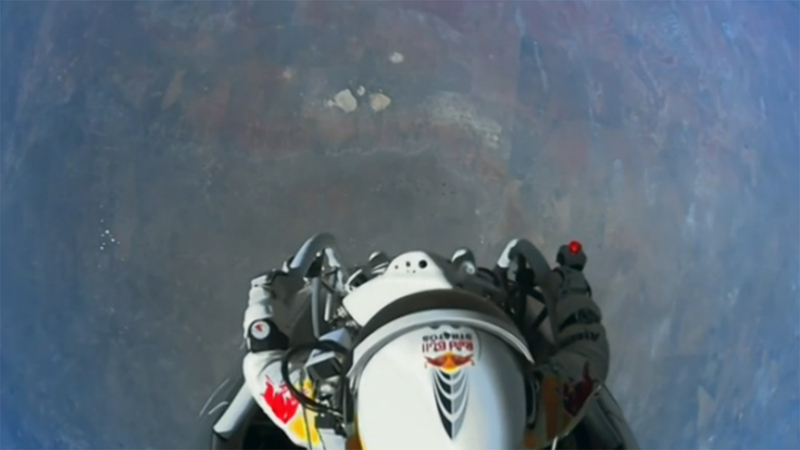 Initially billed as the world’s highest sky dive, Red Bull Stratos was a scientific mission with “one capsule, one balloon, and a team of experts”, “Felix Baumgartner has answered the call to break the speed of sound in freefall. 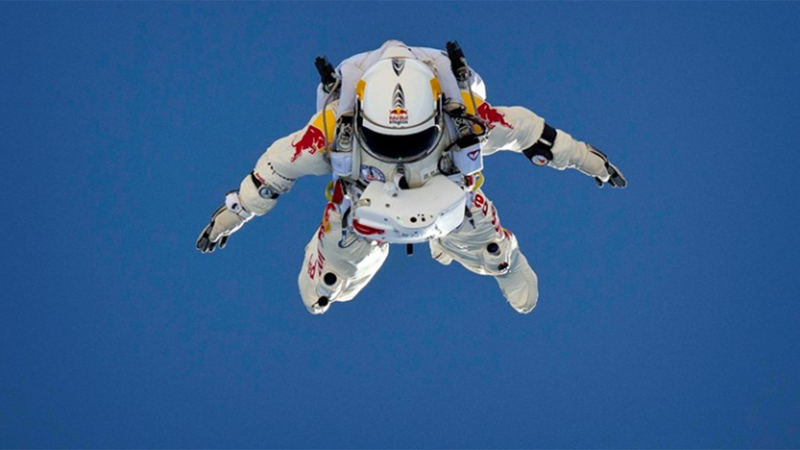 Red Bull assembled a team of “the world’s leading minds” in aerospace medicine, engineering, pressure suit development, capsule creation and balloon fabrication. The aim was to secure data about the suit and gain a greater understanding about what happens to the human body in supersonic freefall, which given the advances in civilian space travel seems a timely adventure. Red Bull determined to film the event and stream it live online building a content rich site brimming with videos, images, articles, information, data and competitions. The footage will also be used in a documentary and the data will be given to Nasa and a host of other medical and scientific programs. Strategically Red Bull has spent years aligning the brand with adventure, energy, adrenaline and extreme sports – it’s easy to see how Stratos ticks all the boxes and fits this strategy to a tee. For Red Bull the challange has always been pushing beyond this core niche of extreme energy junkies to the mainstream. The show stopping event of Stratos was just what Red Bull needed to catapult itself into the mainstream market. 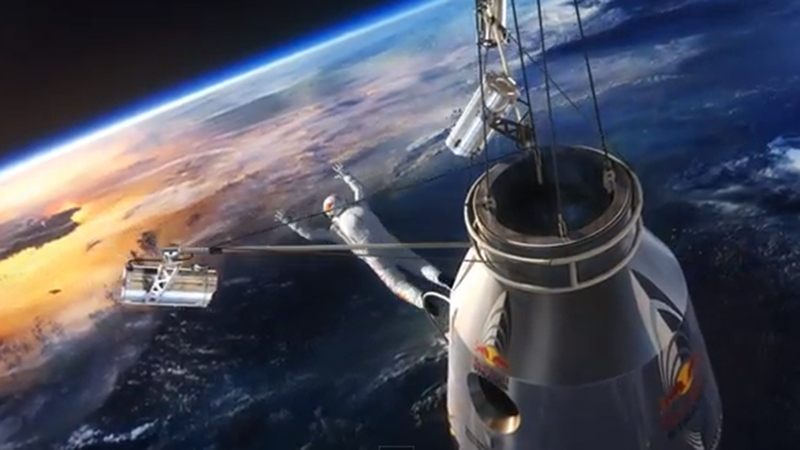 From well before Baumgartner opened the capsule door in space, Red Bull was onto a major winner, there are not many brand’s that would fund, let alone put its name to such a risky project. Add to this the notion that a drink brand is funding scientific research and creating events that tap into the public imagination on a global scale, and it’s not hard to see the attraction for Red Bull. Stratos is the most ambitious execution of Red Bull’s strategy to date and judging by the immense attention it has received, the gamble has paid off. This is evident in its success in creating a major entertainment event and a huge amount of awareness of Red Bull and its positioning as the brand for people who push the boundaries. By documenting the whole experience Red Bull created an ongoing entertainment vehicle and enabled audiences to follow the action from start to finish. Audiences could access the back story, the history, the practice jumps and then they could follow the drama as the jump was postponed and delayed. As an entertainment vehicle Red Bull couldn’t have scripted it better. 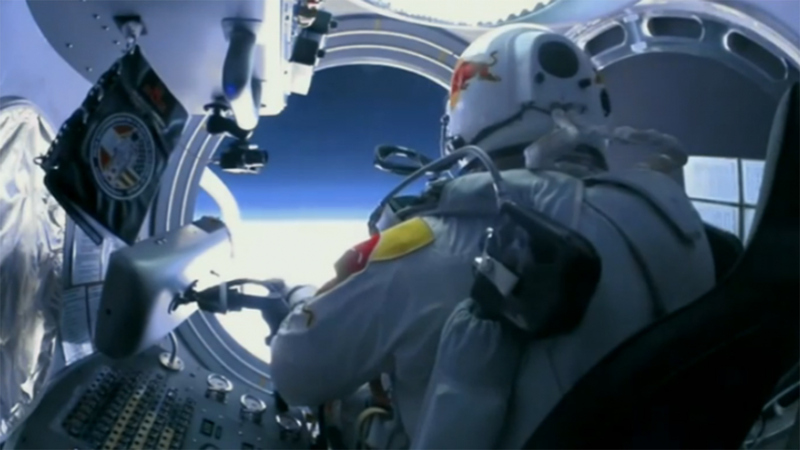 Red Bull is the king of branded content and the posterchild for transmedia storytelling. The brand has proven time and again that sponsorship is one thing but creating your own events is much more powerful. Red Bull’s mantra has seemingly been: why pay to put your name on someone elses event when you can create your own? This is proven again and again through its ownership of events, competitions, music schools, F1 racing teams as well as its own media properties including magazines, apps and feature films. In this respect the brand has been well ahead of the rest of the marketing landscape in identifying the value and power of behaving like a publisher and content owner. But what has always kept Red Bull ahead of the competition has been its unwavering understanding of what an audience wants. Red Bull has stayed true to its strategy of owning the territory of high energy adventure but the biggest challange the brand faces is how do you keep raising that bar, and going one better? In this respect Stratos speaks for itself; three world records, more than 27 million YouTube views and counting, 8 million live views, masses and masses of PR and media attention which experts estimate could be worth as much as AUD155 million dollars for the brand (GBP100 million). As brand entertainment goes this project is stratospheric but it’s short lived. The project may have been seven years in the making, but the jump itself lasted just ten minutes and no matter how you cut it there is only so much entertainment you can squeeze out of it. Red Bull have hit the radar of a mainstream audience as the brand that let a man jump to earth from the edge of space – which to borrow Mastercard’s tagline is a priceless positioning, but the pressure is now on Red Bull’s strategy to stay true to the high energy adrenaline fanbase while also growing its broader mainstream appeal, and most pertinently doing something even cooler than Stratos. 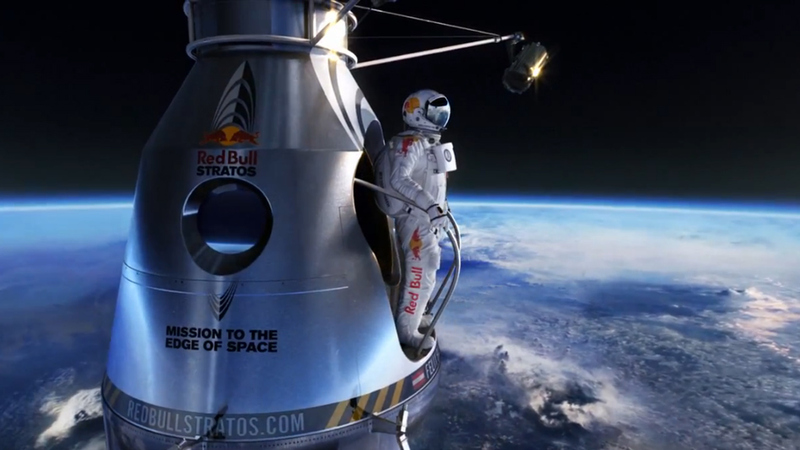 Red Bull created an incredible entertainment event with this breathtaking stunt.